To see more photos of the evening’s events visit our coverage story on Facebook. 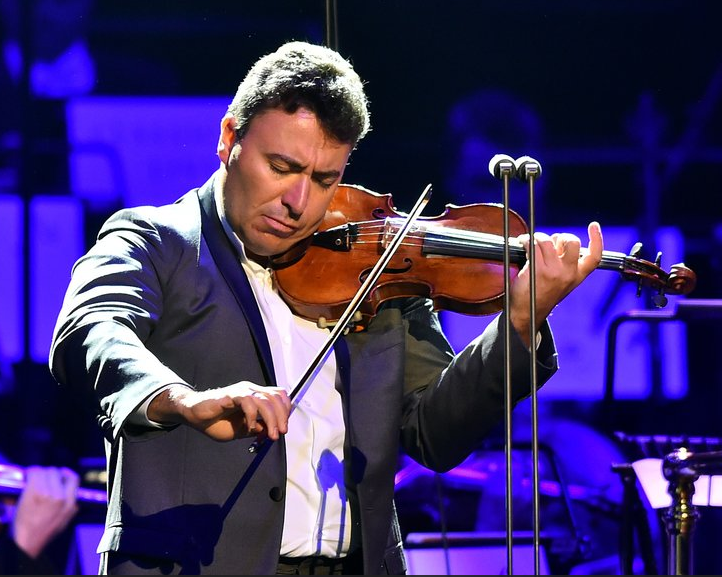 Prior to his appearance at ClassicFM Live, ClassicFM asked #MaximVengerov to share his top tips for getting the most out of your practice sessions and the piece of advice he’d give to all aspiring musicians…Click here to see Maxim’s answers during this video interview! 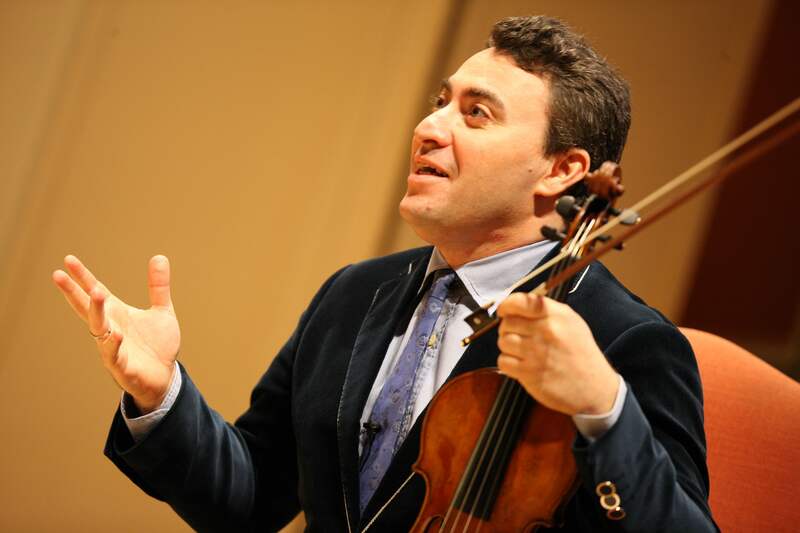 We are delight to announce that as of September 2016 Maxim Vengerov will join the Royal College of Music as Polonsky Visiting Professor of Violin. Maxim will visit the RCM at least three times a year, working with students through regular masterclasses and individual tuition. 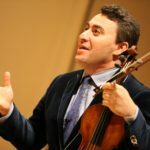 Maxim Vengerov’s first visit to the RCM as Polonsky Visiting Professor of Violin will be for a public masterclass on 23 September 2016 at 6pm. 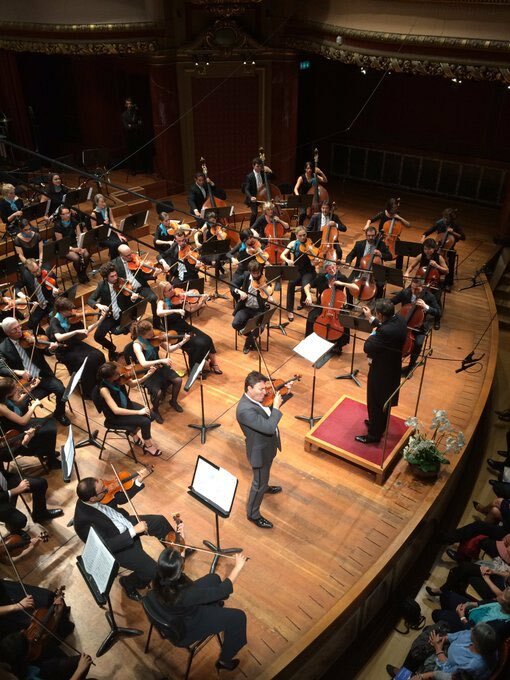 The newly created role of Polonsky Visiting Professor of Violin is generously supported by The Polonsky Foundation. 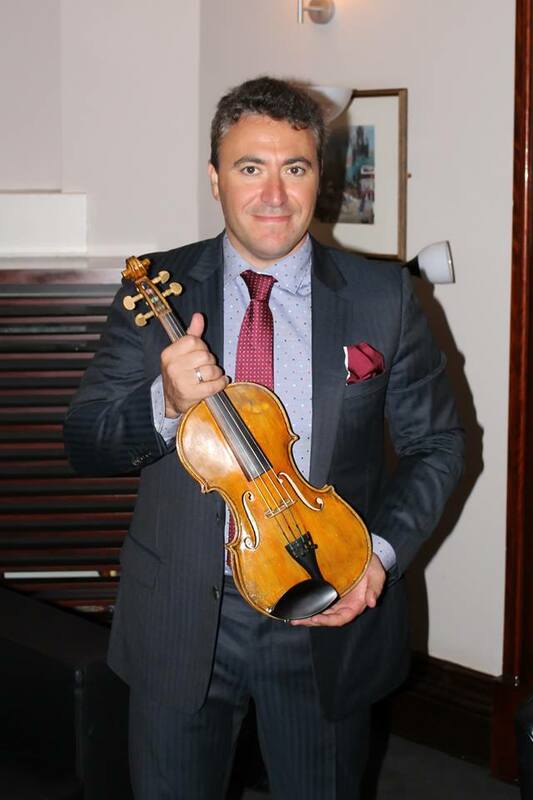 Backstage at the Usher Hall after a sold out Edinburgh Intl Festival recital, Maxim Vengerov met (for the 2nd time) the Wilfred Owen violin – a commemorative violin crafted to mark the centenary of WW1. 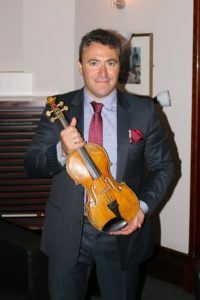 Maxim took time to handle the violin, which was created from a sycamore tree in the grounds of the Craiglockhart War Hospital where famous war poet Wilfred Owen was a patient in 1917. 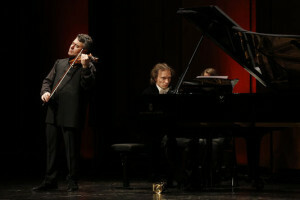 Maxim endorsed the violin as “an envoy for peace and reconciliation through the power of music”. 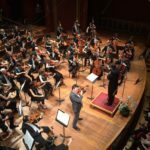 More info about the violin can be found here http://bit.ly/2bkWDjl . 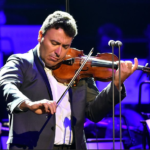 The pair performed a programme of Schubert, Beethoven & Ravel violin sonatas complimented with some violin showpieces… (full details below) at a sold out Usher Hall on Wednesday night.